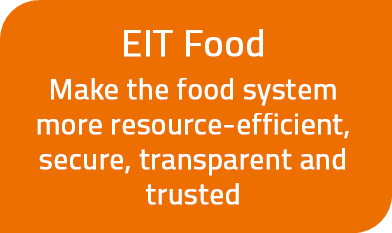 EIT Food Entrepreneurial Summer School: Food Innovation Lab invites international students and professionals from engineering, natural and social sciences, humanities and design to tackle global food challenges. In the 15-day programme, participants will go through an innovation process - from identifying challenges, developing consumer-centric solutions to prototyping in the laboratory and business model development. Experts from industry and academia will share their knowledge and provide feedback to facilitate the development of impactful solutions. The summer school is an educational programme. We aim to strengthen participants to think out of the box, enable them to develop novel human-centered solutions for global food challenges, and thus empower them to have a sustainable impact as future entrepreneurs or employees. According to regulations of ETH Zurich, students will be awarded 4 ECTS after successful completion. Friday, June 28 to Saturday, July 13, 2019 at ETH Zurich's main campus and Hönggerberg. All participants are expected to be available every day including weekends. Students from all disciplines (Master and PhD students are preferred) and professionals with passion and interest to learn about and tackle global food challenges. No prior knowledge in food science is expected.